Skin problems have many forms. Since the lifestyle of common people has changed, there is a drastic decline in their health and that clearly reflects on their skin. We live in a place where pollution has conquered air, water, food, and what not. This no doubt affects us all in some way. The toxins reach inside our body and blood and that contaminates every healthy organ. The air pollution and dust get inhaled by us whole day and therefore the process of early aging begins. 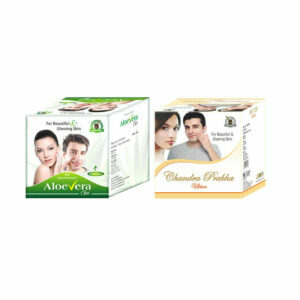 The skin thus has to deal with dryness, wrinkles, pimples, blemishes, etc. 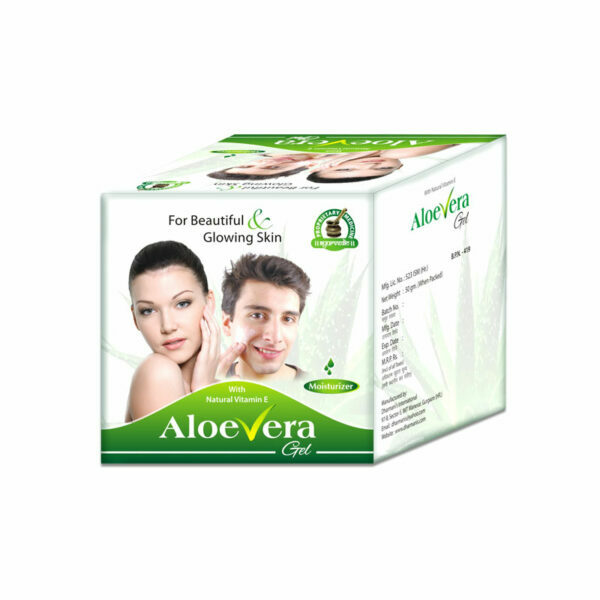 Aloe Vera moisturizing gel is an outstanding ayurvedic cream for dry skin. This herbal gel consists of pure aloe vera extract in the form of a powerful ingredient which has many benefits. First of all, it is rich in antioxidants like Vitamin C, Vitamin E and beta-carotine that assures tightness, natural glow and suppleness to the skin. Moreover, this herbal cream for dry skin eliminates the problems like wrinkles, fine lines, dark spots, pimples, crow’s feet, eczema, cuts or burns. This is because it is the natural property of aloe vera to eradicate every skin issue, even if it is mark, scar or some kind of allergy. Aloe Vera moisturizing gel works well for both oily and dry skin. If a person has dry skin, this product provides sufficient moisture and on the other hand if anyone has oily skin the product will take out unnecessary moisture out of it and will provide it enough glow. Does Aloe Vera moisturizing gel cause any side effects? No, Aloe Vera moisturizing gel does not cause any side effects at all. How long do I need to use this herbal cream for dry skin? It is an average count of 3 to 4 months that an individual would require for restoring his or her skin health. Depending on the condition of your skin you might take more or less time as well. How to use this ayurvedic cream for dry skin? 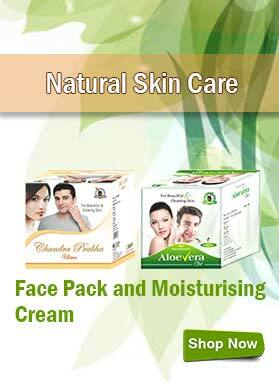 Take small amount of Aloe Vera gel and apply on your face or any other affected part. Follow the process during the beginning and at the end of the day. What is the preferred diet while following the course? No one has to follow any specific dietary regimen. Just make sure you stay away from oily, spicy and sugary foods. How can I buy Aloe Vera moisturizing gel in India and from where? 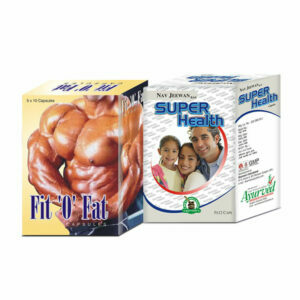 Pick the quantity of your desired package, click on “Buy Now” button. Just after clicking, you will be required to fill up the billing details such as name, address, email and contact no. Out of these three – bank transfer (NEFT), demand draft (DD) or cheque and cash on delivery- make a selection on the basis of your suitability. Finally click on “Place Order” button. Send your details regarding the bank transaction made by SMS or email system only in case of advanced payment mode. As soon as we obtain the payment confirmation we will dispatch the items. We emphasize on sending all the parcels by discreetly packing so that the consistency towards its privacy is maintained. Thus, the products are kept hidden during the whole transmission process. You are likely obtaining your products within 3 to 5 working days. 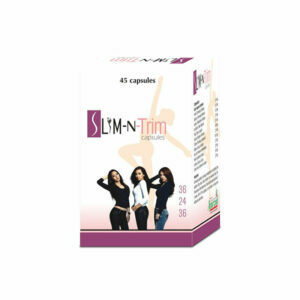 This product actually delivered me great results. I had acne and scars which are so much subsided that these are hardly even seen. I expect to get rid of them totally and I’m positive. Shows absolute results without any skin issues that I dealt with previously with other medications. Thank you! My wife is fond of applying so many types of creams that actually degraded her skin. She stopped using those but was always upset. She is a working lady and so hardly gets time for herself using home remedies and all. I therefore gifted her Aloe Vera gel. It has been 2 months approx. and she never got such perfect results. Her skin looks glowing and acne free. Thanks to you! Aloe Vera gel is just outstanding. It has made the skin of my sister free from scars and acne and now she just keeps admiring herself whenever she looks in the mirror. She is very happy with the results. I purchased Aloe Vera gel to get rid of dark spots and blemishes on my face. Now after using this gel consistently for 3 months I am very happy with the results as all my skin problems have reduced greatly. 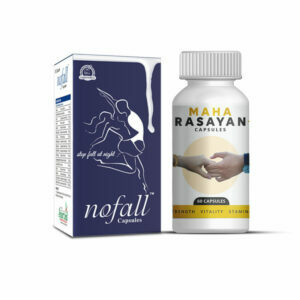 Firstly I was not sure that this gel would work for men also but now I can say that this gel can be trusted by men and women alike and is really worth purchasing. I used Aloe Vera moisturizing gel for my dry skin problem to get rid of wrinkles and fine lines, I am using it since 1 month and I can feel significant difference and the glow on my face has noticeably increased. It reduces my dark spots also. It is just awesome. Since last 6 months I was suffering from premenstrual syndrome, by this my skin lost its natural glow, to get rid of it I tried Aloe Vera moisturizing gel. Within a month I see changes on my face and the natural glow of my face was back. Aloe Vera moisturizing gel cured my skin problems. My skin looks alive because of this natural skin moisturizing gel. I have oily skin and there were pimples and dark spots on it, I tried so many skin care products but all in vain. Then my cousin brother told me about Aloe Vera moisturizing gel, I tried it and it was so effective my dark spots get reduced and my skin tone becomes fairer. My sister tried so many creams but didn’t worked for her, finally she used Aloe Vera moisturizing gel and after 15 days she saw visible changes in her skin so she continued using it and now her skin looks perfect.